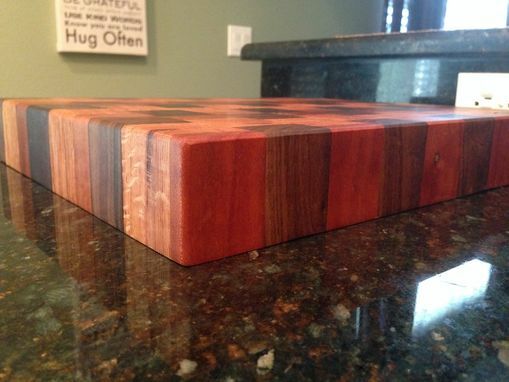 This gorgeous handmade butcher block cutting board is made of Cherry, Oak and Black Walnut reclaimed wood. 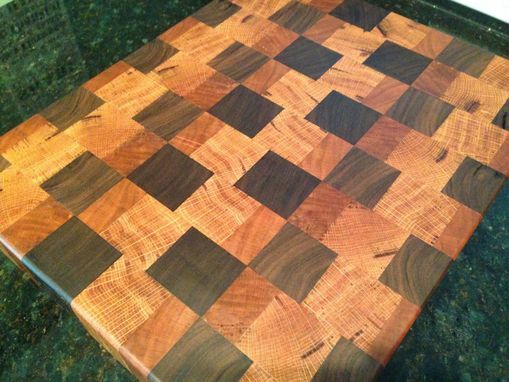 Can be made in different patterns and out or different woods upon request. This is perfect for your kitchen! 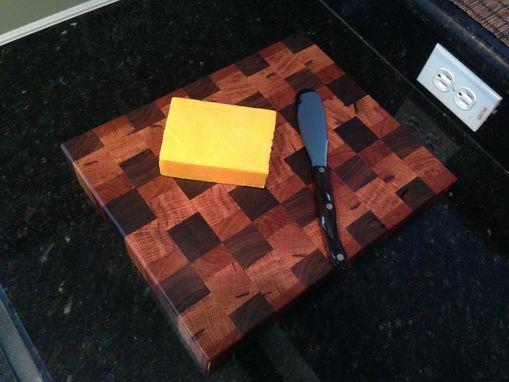 Makes a great wedding or house warming gift!